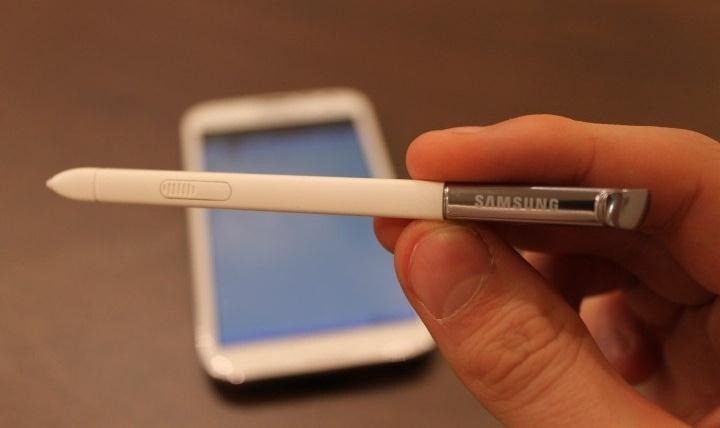 Got a Samsung tablet with an S Pen stylus? Then you might be one of the many people irked about having to manually choose a different keyboard layout after pulling the S Pen out of the device. For instance, if you have a Samsung Galaxy Note I or Note II, when you pull the S Pen out, the keyboard layout stays the same. But if you'd like it to switch to a different keyboard, say, from the stock Samsung keyboard to something like SwiftKey, then you're out of luck. Actually, no you're not, thanks to XDA Developer LegendK95, who brings us S Pen owners SPenBoard Switcher. The app detects the stylus's position and the keyboard is automatically switched based on a learned or predefined position, like in or out of the S Pen holder. You can download the app here, but you'll need root access to install it. Here are the two modes LegendK95's app is capable of. Learning mode: Tries to detect the keyboard you use in each pen position, stores the detected keyboard, and uses it the next time you take your pen off, or return it to its place. Fixed Mode: The service only uses the keyboards you chose inside the application, even if you use another keyboard for a short time, when the pen's position, the keyboard is reverted back to the ones you chose. 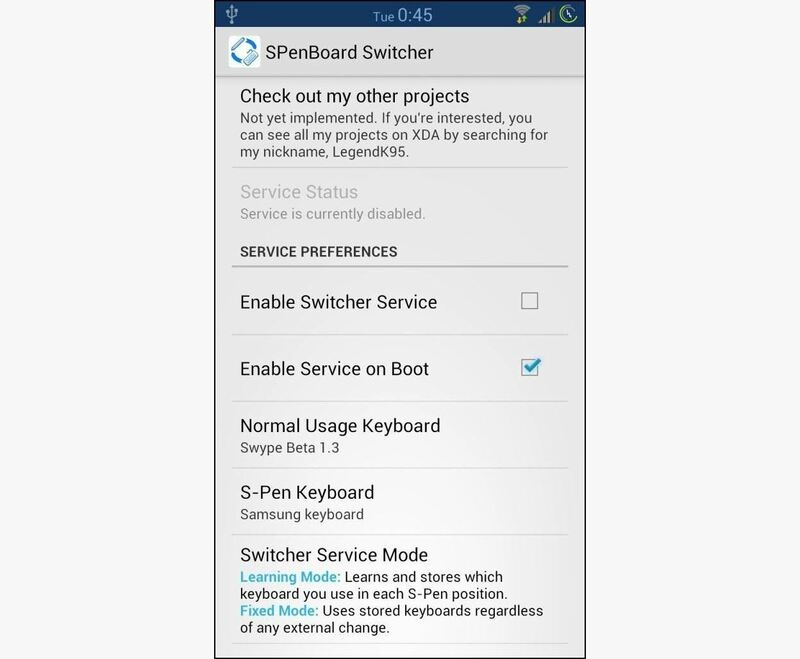 SPenBoard Switcher can be enabled to launch at boot and also works just fine with third-party keyboard apps. For more information on the app ad how to install it, be sure to check out the XDA forum thread. The app has been tested on all of the following Samsung phablets, but should work on any device that can detect the S Pen position. Nothing for non-rooted devices. But rooting is really for people that want to go above and beyond the standard devices features. You can check this out if you wanna know how to do it.